Gianni Colombo was born in Milan in 1937. 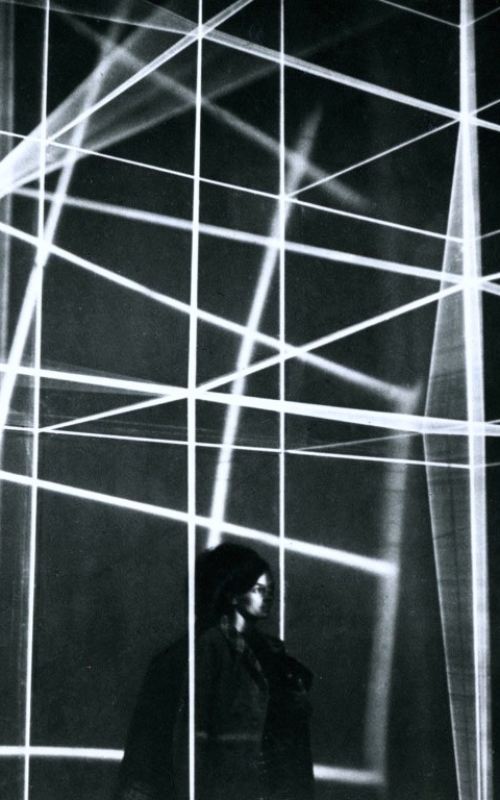 Sensitive to the work of nuclearists, to Lucio Fontana and the Spatialists’ research, in 1959 he founded the Group T – with Giovanni Anceschi, Gabriele De Vecchi and later Grazia Varisco – proponent of kinetic, programmed and optical art, in which the new protagonist of the artwork is the viewer. In 1959 he exhibits mixed media artworks and monochromatic felt reliefs at Galleria Azimut in Milan, at the centre of a Europe-wide artistic fervour. 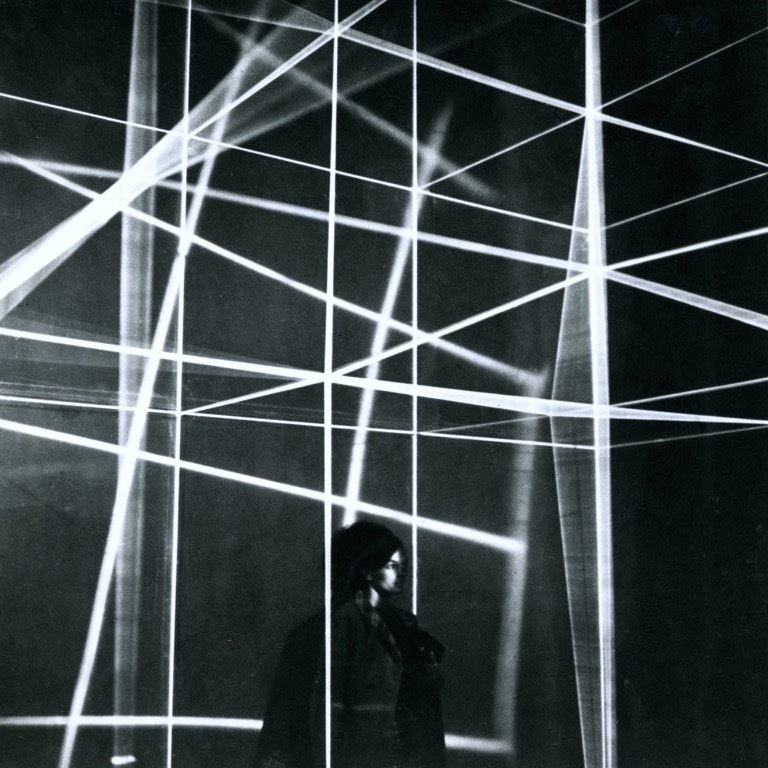 His first electro mechanically animated kinetic works are exhibited at the personal show “Miriorama 4” in 1960 at Galleria Pater. The idea of the “open art” – with which the viewer comes into direct contact – becomes his constant theme: environments and artworks wishing to interfere with the psycho-physical state of the observer are at the centre of major public exhibitions, including Strutturazione cinevisuale abitabile at the Musée des Arts Decoratifs in the Louvre, Paris (1964) and Topoestesia-Ambiente for the third edition of Nova tendencija in Zagreb (1965). Of the same period are the experimentations through light effects of a fast moving structures and images created by rhythmic flash. Colombo is protagonist, during the Sixties, of Biennials (Sao Paulo, Brazil; Venice, XXXIV, 1968 – prize for painting) and international exhibitions (Documenta 4, Kassel) as well as a continuous series of solo and group shows in Italy and abroad. From the mid-seventies, the research of Colombo increasingly focuses on the analysis of the architectural language. Artist and designer, Colombo assumes the chair of Structuring of space at the New Academy of Fine Arts in Milan and the direction of the same institute since 1985. Since the Eighties he works on Cacogoniometriche Architectures paying attention to the structural notes of the exhibition space and the primary architectural elements. At the end of the decade and into the next one he develops environments set on the concept of “curved space”. The artist died prematurely the following year, but the attention for his work has increasingly broadened through exhibitions in public and private spaces in Italy and abroad.